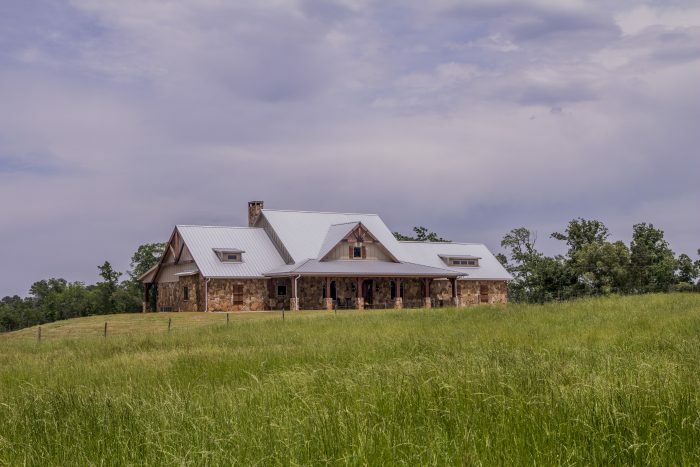 This house was designed for a working ranch where the house is seen from a distance with its stone walls, cypress columns, shed dormers, and metal roof with trussed gables. 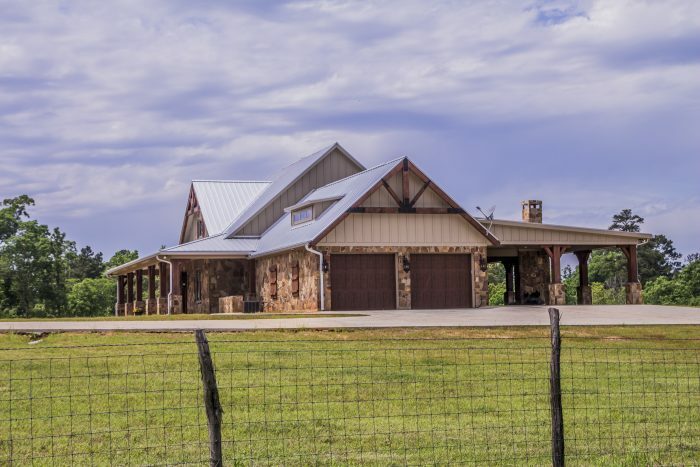 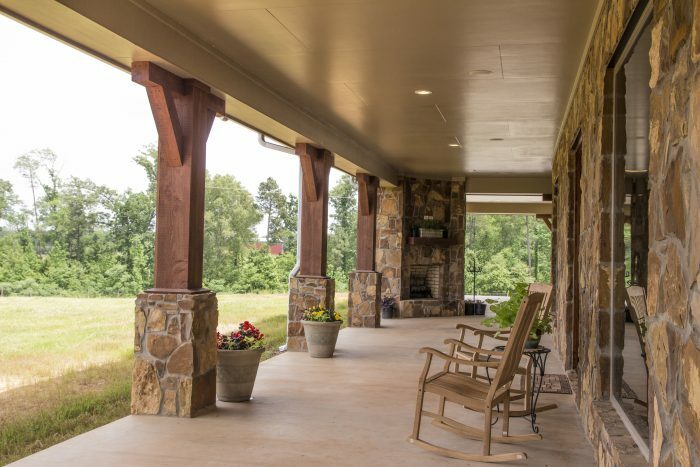 A soaring, two-story great room allows openness and clear views of the beautiful pastures and watering pond beyond, and French doors open onto an expansive back porch. 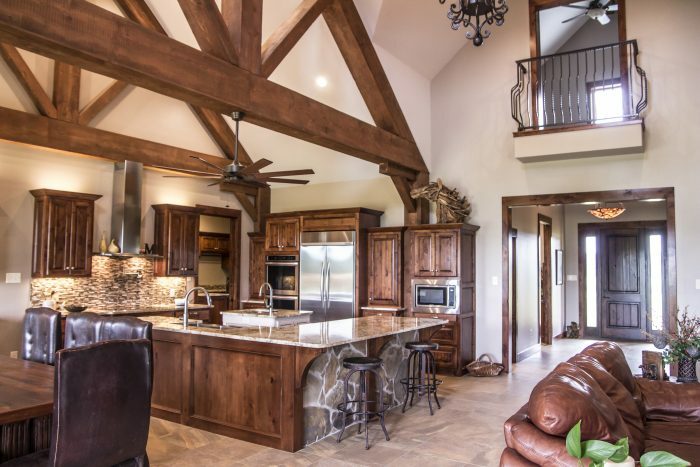 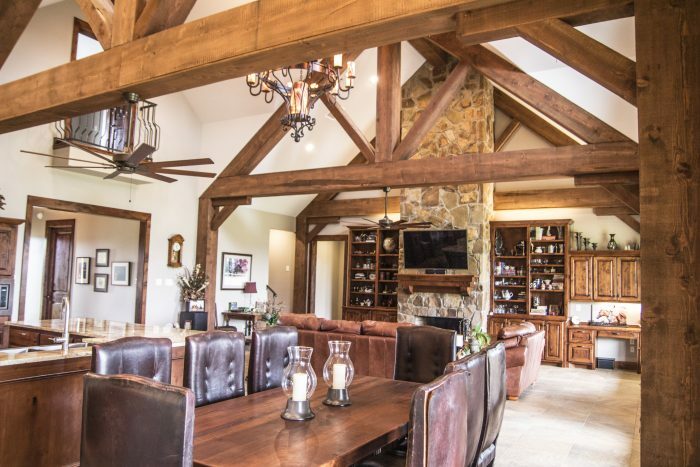 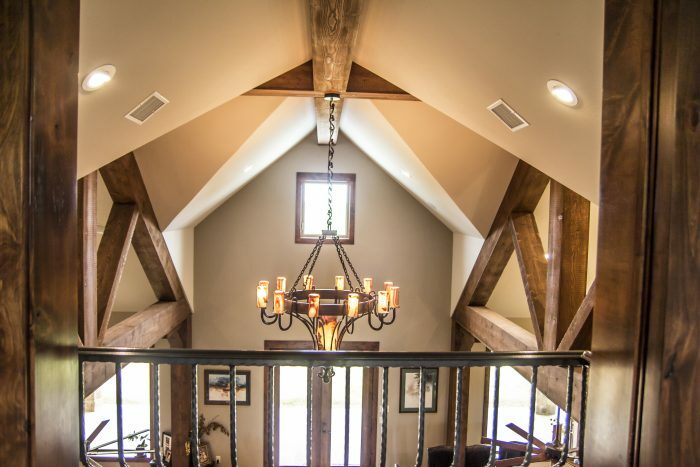 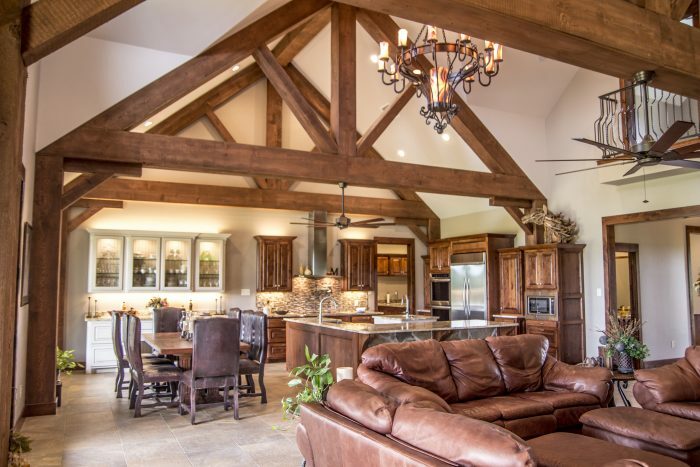 Massive heavy timber trusses with columns and braces reflect the architecture of the exterior, while adding warmth and rustic elegance to the interior of the home.